Rulebooks changes set to go into effect on Friday, September 14th have been posted on the OQHRA website the OHRC website. 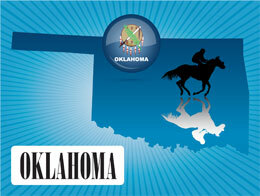 OKLAHOMA CITY, OK—SEPTEMBER 13, 2018—The Oklahoma Horse Racing Commission this week announced several changes to their racing rulebook that will take effect Friday, September 14th. For a complete copy of the Oklahoma Horse Racing Commission's unofficial "Rules of Racing" pari-mutuel edition CLICK HERE.